Become a real hero of the new Battle Tanks game! In the new EvoPlay game you are the last surviving soldier needing to escape from a ruthless enemy. There is no help within reach, and you have to get out of the ruins as soon as possible. The Battle Tanks game is a real fight for life and you simply mustn’t lose it. Destroyed buildings, artillery shells, rain, fog and you; face to face with the enemy. The atmosphere of the game is really intense; it absorbs from the very first minute thanks to perfectly matched rebellious music. Among the symbols there are 3 tanks whose values range from 10 to 4000 credits depending on how many are on the line. Scatter opens 15 free spins and triples all winnings, and Wild substitutes for all symbols except Scatter and Bonus. 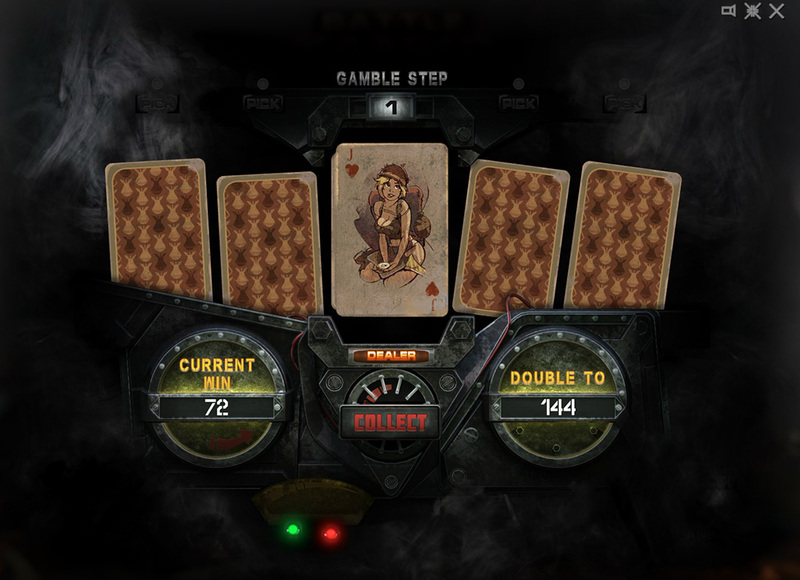 The developers concentrated all the drama and power of the machine in the bonus round. Just as before, you need to collect three bonuses in order to start the final battle. There can be only one who will get out of it. 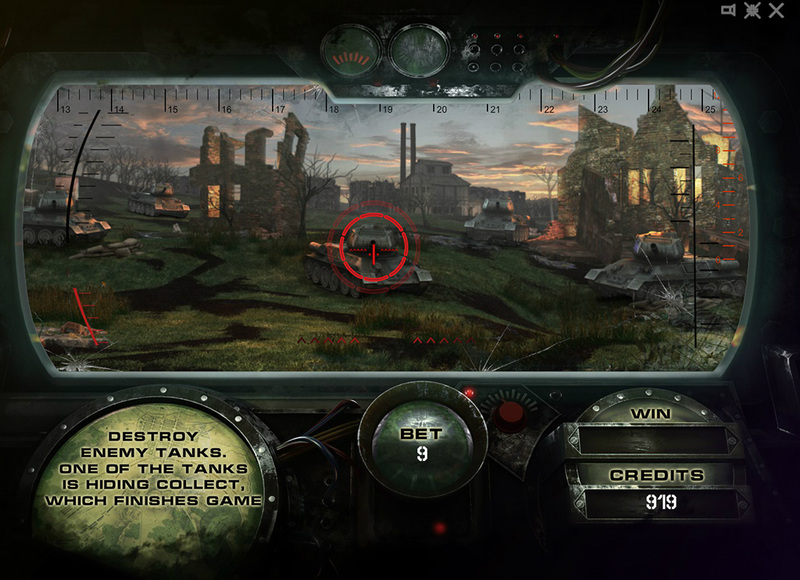 The player’s task is to destroy all hostile tanks and to find the one that is hiding the Collect button. This is the only way to win the war. 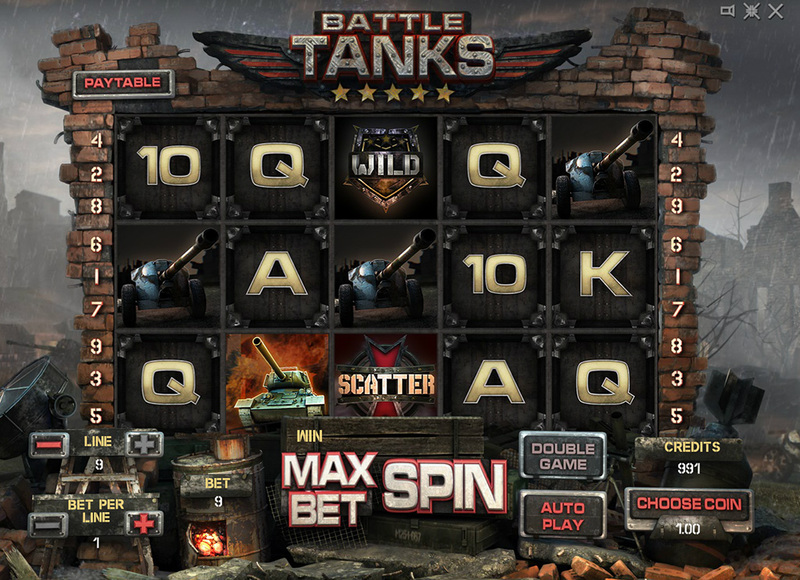 The Battle Tanks game conquers everyone at first sight. Anyone interested in the military, who appreciates quality graphics and wants to become a hero will definitely love this one from EvoPlay. Even if you’re not able to achieve the maximum gain; this battle will be remembered forever!